The Honda CR-V returns in 2019 as one of Honda’s best-selling models thanks to its continued affordability, reliability, and great standard safety features. This all-around family vehicle comes in four different trims: the LX, EX, EX-L, and Touring. The base LX comes with LED daytime running lights, a multi-angle rearview camera, fold-flat 60/40 split rear seats, automatic climate control, power exterior mirrors, and 17-inch alloy wheels. The trim above the LX, the EX, gets a 1.5-liter turbocharged engine in addition to a smart entry system with walk-away auto-lock, remote start, a power moonroof, heated front seats, and a 7-inch display audio touch-screen infotainment system with Apple CarPlay and Android Auto integration. The EX is also the first CR-V trim level that gets the excellent Honda Sensing active safety bundle as standard equipment. The next highest trim, the EX-L, receives a leather-trimmed interior, a power tailgate, power-adjustable driver’s seat with memory feature, heated exterior mirrors, and an automatic dimming rear-view mirror. Finally, the Touring trim comes complete with roof rails, a hands-free power tailgate, a premium nine-speaker audio system, chrome exhaust finishers, LED headlights with an auto on/off feature, rain-sensing windshield wipers, and a Honda satellite-linked navigation system. 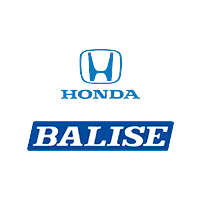 Honda has always prided itself on offering exceptionally safe vehicles, and that dedication continues for the 2019 model year with the expansion of the Honda Sensing driver assist technology suite. This sought-after feature, which is standard on all trim levels except the base, bundles adaptive cruise control, collision mitigation braking, road departure mitigation, and lane keeping assist. The standard passive safety features include advanced front and side airbags, three-point seat belts with automatic tensioning, the LATCH (lower anchors and tethers for children) car seat system, child-proof rear lock doors, and seat belt reminders. The ‘19 CR-V offers great connectivity and infotainment features, even at the base level. The LX gets a 160-watt audio system with four speakers, a 5-inch color LCD screen, a USB port, Bluetooth HandsFreeLink, and Pandora capability. Infotainment upgrades come as the trim levels rise, with additional speakers and functions. There’s a second USB port in the center console, and two 12-volt power outlets (front and center console). As far as exterior technology, the CR-V includes power side mirrors, projector-beam halogen headlights with auto-on/off, a remote-entry system, and a one-touch power moonroof with tilt feature. The CR-V leads its class in cargo space, with 39.2 cubic feet when the back seat is occupied with passengers and 75.8 cubic feet when the rear seat is folded flat. With heated front seats and dual-zone automatic climate control standard on all but the base trim (which gets single-zone auto climate control), the front-row occupants can personalize the temperature of the vehicle.